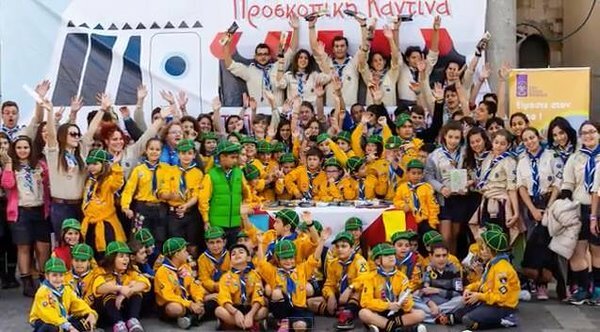 In Autumn 2014 I wrote a short story especially to serve as the concept of a national activity, of the largest youth organisation in the country, the Scouts of Greece. 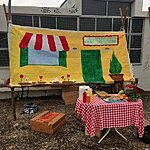 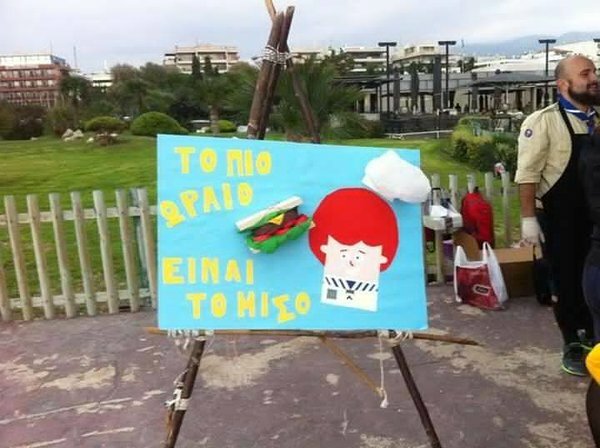 "The tastiest sandwich is the... half sandwich" tells the story of a child that want’s to become a famous cook when he grows up. 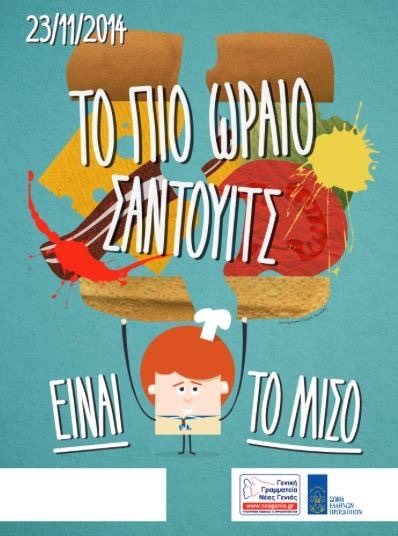 Everyday at school he experiments preparing a different sandwich, with different ingredients, to find out which is the best, the tastiest sandwich ever. 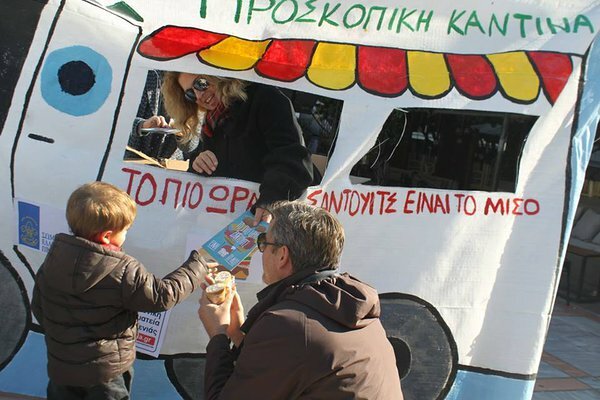 One day he realises that there is another child in class, that all these days does not bring anything with him to eat at school. 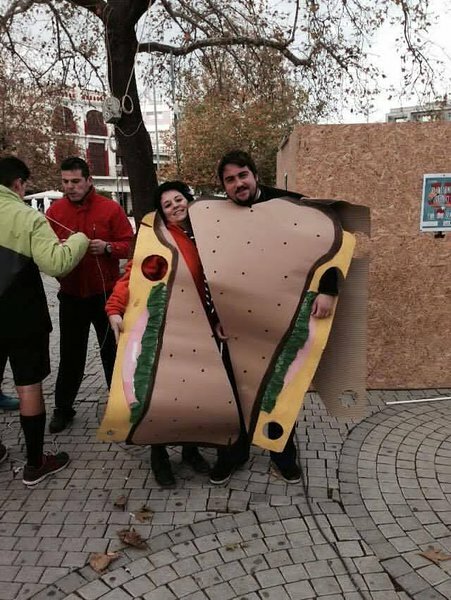 He cuts the sandwich in two and shares it. 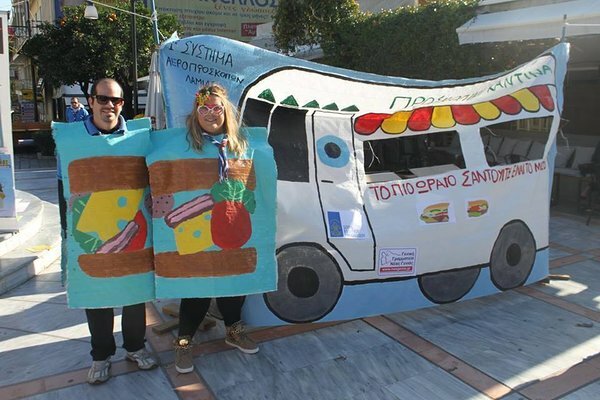 And from the next day on, he is absolutely sure that this was the best sandwich he had ever tasted… but strange… he cannot remember the ingredients! 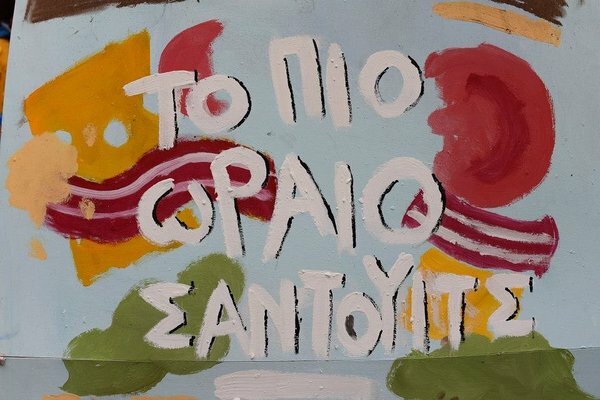 Read the full story (in greek) here illustrations by Yorgos Ioannidis. 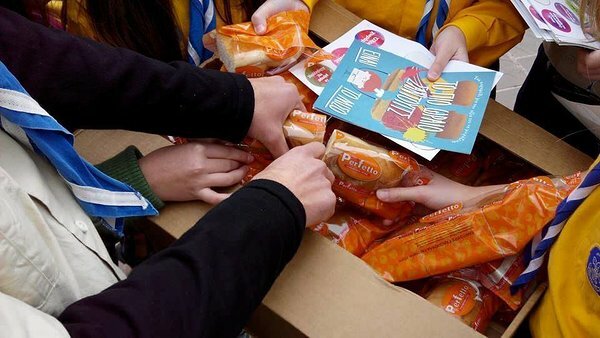 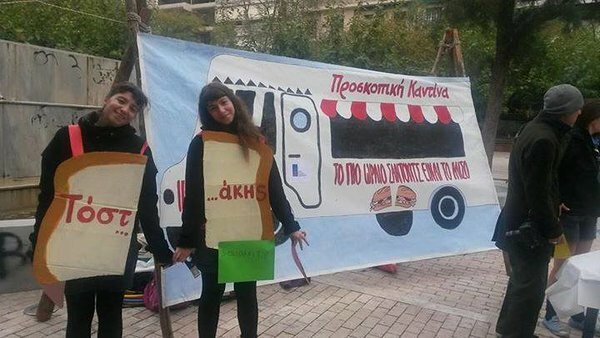 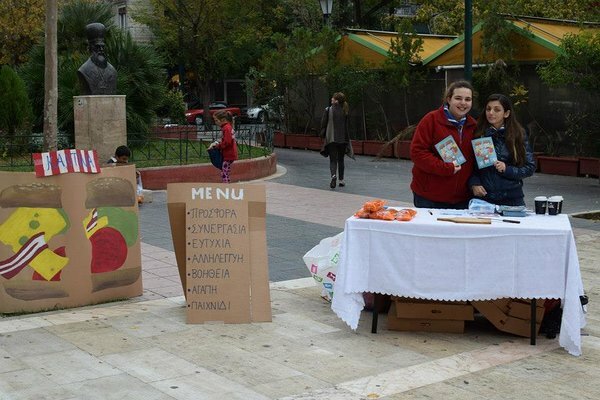 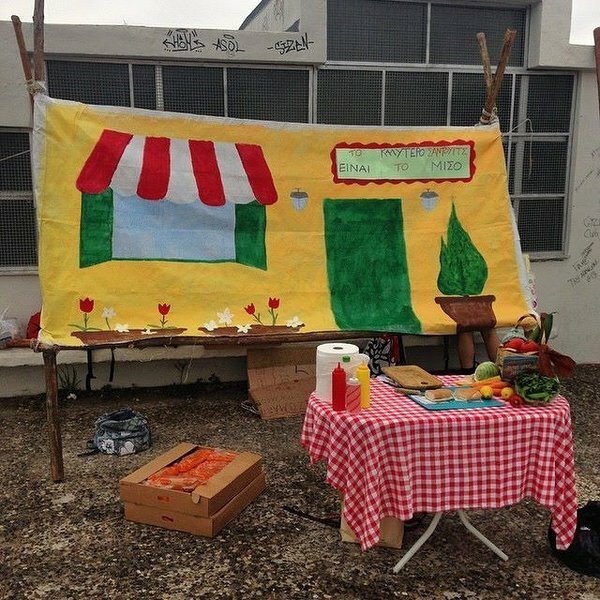 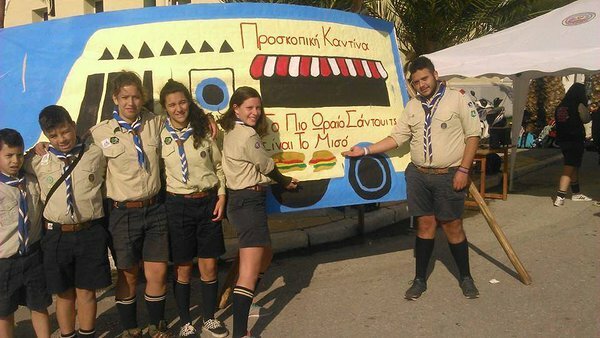 The story of the “half sandwich” was printed and distributed freely by the Scouts of Greece in a national sharing event all over the country and it was transformed into a full program of sharing games for children of all ages, by a team of experienced Scout Leaders, as well as in real sandwich kiosks all over Greece, distributing real, fresh, tasty sandwiches for free to the people passing by. 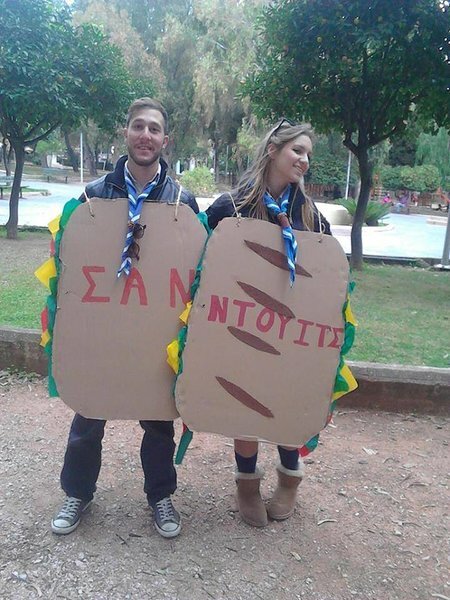 For free but under one condition… that they would cut it in two right away, and share it with a stranger! 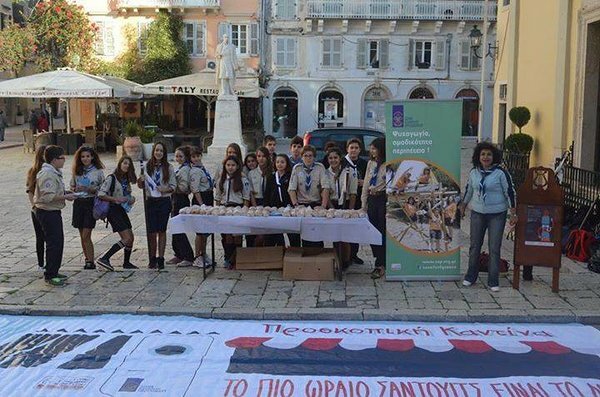 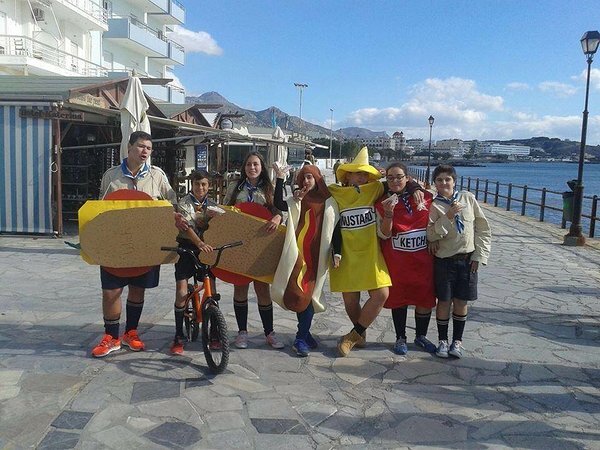 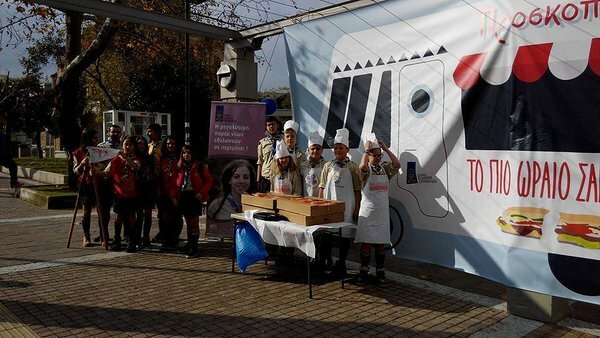 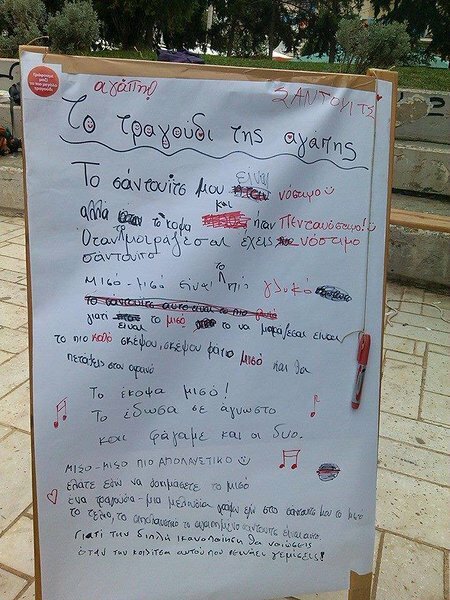 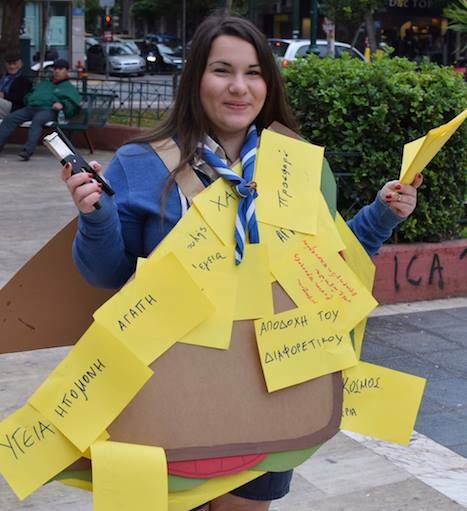 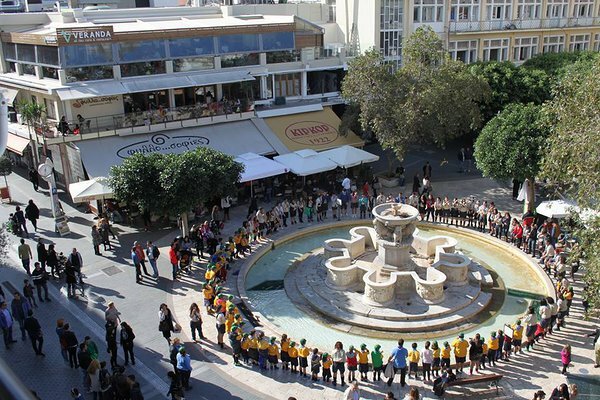 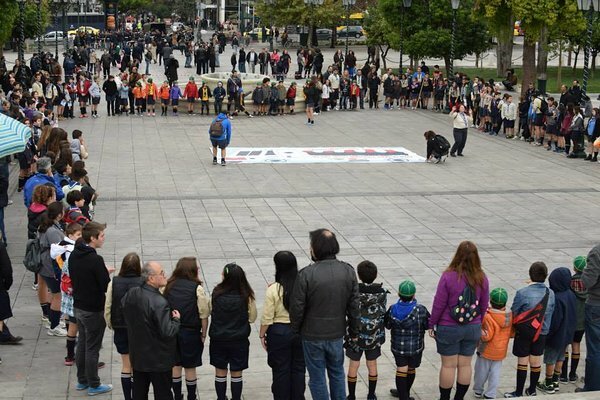 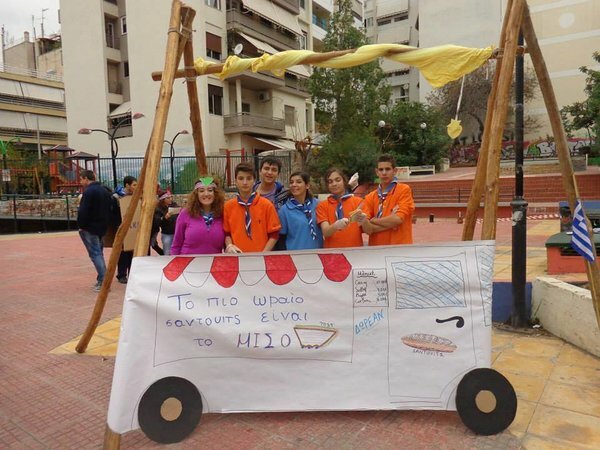 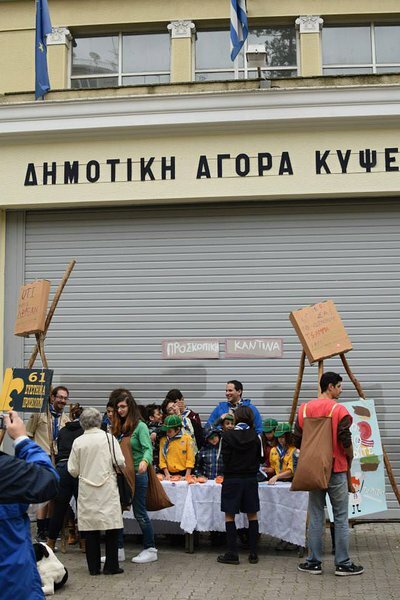 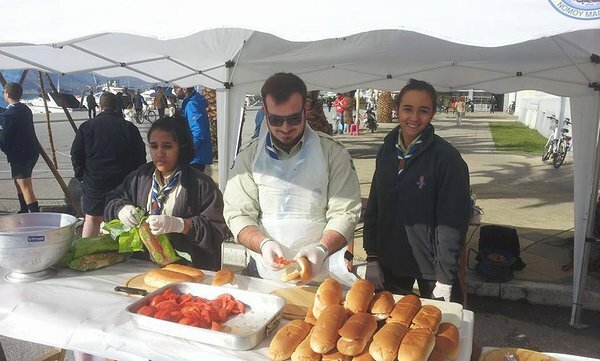 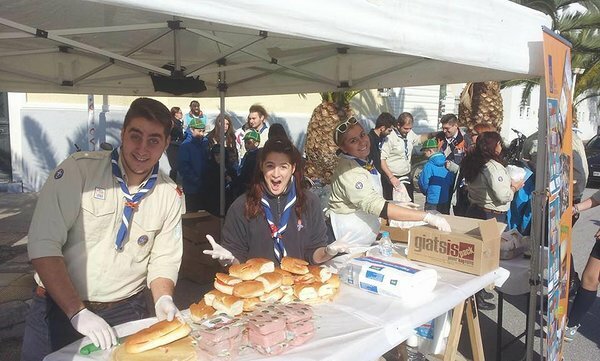 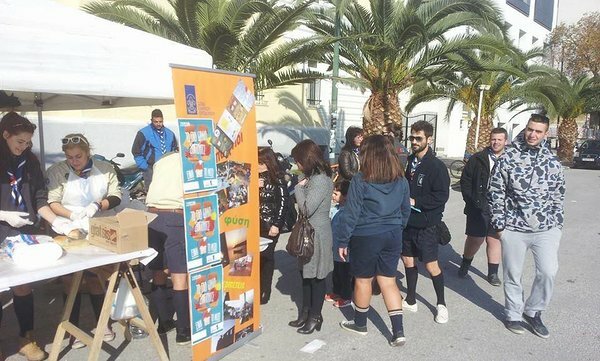 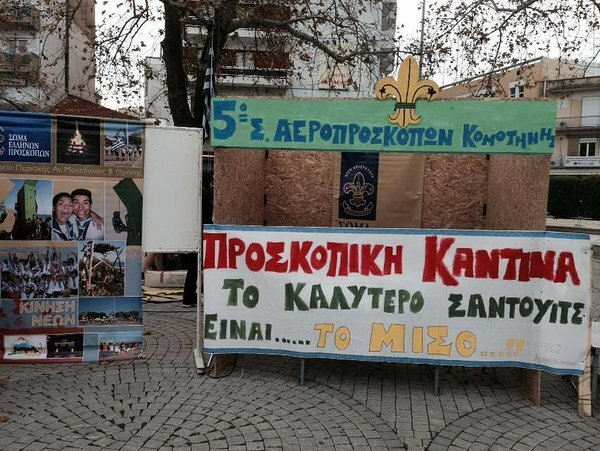 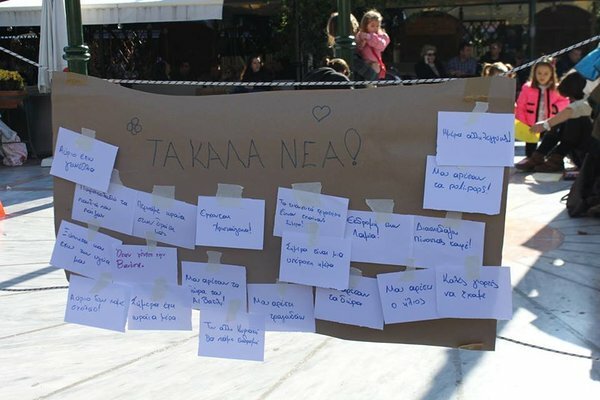 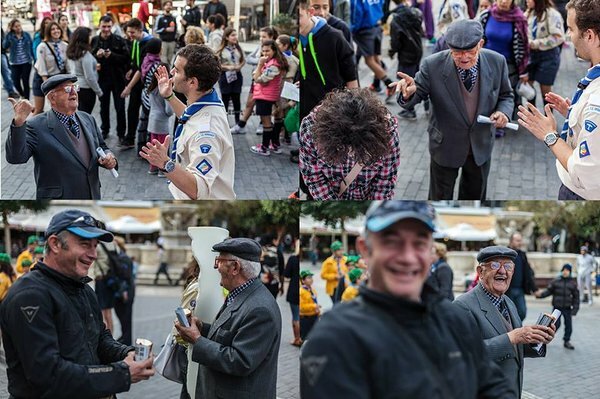 The project was a great success thanks to the organising team of the Scouts of Greece and the hundreds of volunteer Scout Leaders that made this sharing day unforgettable, for every one that passed on Sunday 23/11/2014 from the central squares of almost all the greek cities were Scouting is active. 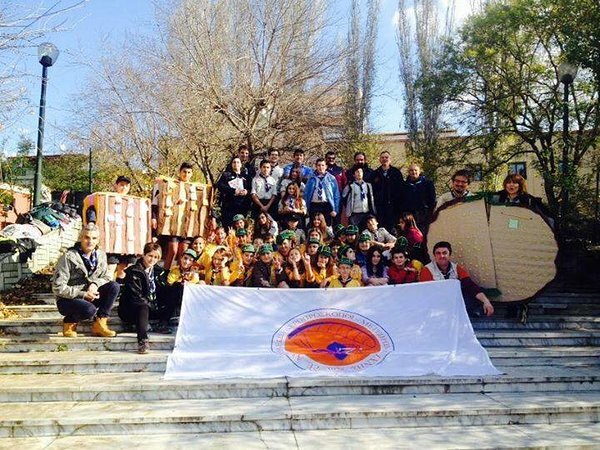 The idea of the event was repeated in 2015 by Scouts but also by non Scout groups that found it interesting and inspiring.